As with analog board games, players take turns to play most games on Tabletopia. To manage this process, use the various featured turn-based modes. This will let you automatically pass the turn to the next player, calculate the turn time, etc. To enable turn-based mode, click the icon on the left of the screen in the game room. The modes panel appears. The default mode is Free-for-all, which means no turn control is enabled. 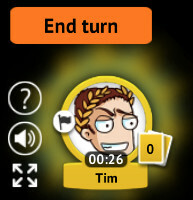 That player becomes the active player and is highlighted with a glow around the picture + a flag icon. Timers for all players are activated, and the active player’s timer starts counting up. See Timer for details. The turn-based mode for your current game may depend on many things. Read below about each mode we support to select what best suits the game you play. The turn is passed clockwise to the next player automatically. Click End Turn, and the player on your “left” becomes the new active player. The active player delegates the turn to the next player manually. 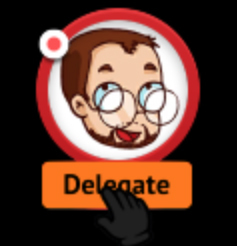 Click Delegate next to a player’s image. That player becomes the new active player. You can make both Clockwise and Flexible modes strict. In this case all non-active players will not be able to interact with any game objects on the table, although they will still be able to control cameras and view any objects on the table. 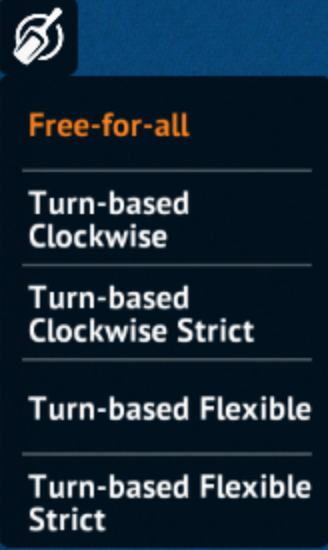 If the active player goes AFK or is disconnected, you can take the turn from that player manually by switching first to the Free-for-all mode and then back to any Turn-based mode. In all turn-based modes a timer is visible for the active player and shows the time of that player’s current turn. Also, you can mouseover any player’s picture and see the total time they have spent on their turns during the game.